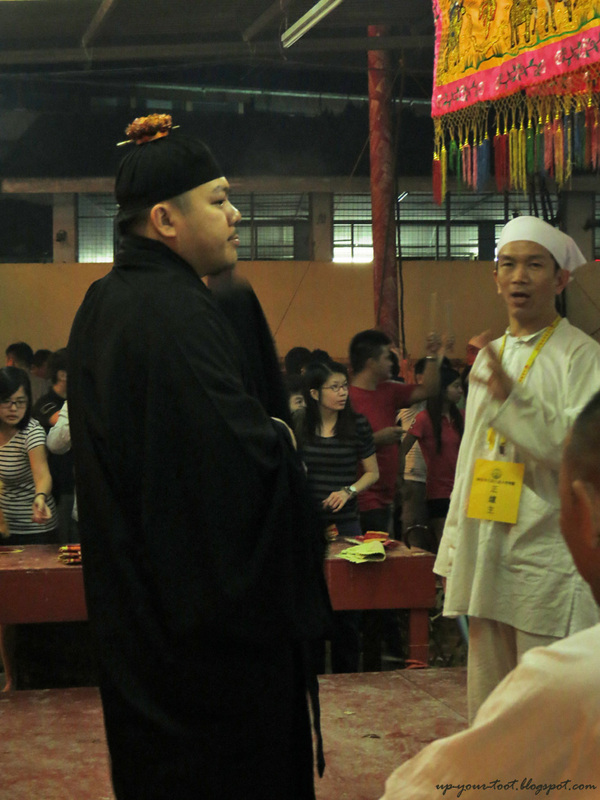 It is a Sunday (21st October) and many have taken the opportunity to come visit Ampang Nan Tian Gong Temple to witness and experience for themselves the Nine Emperor Gods Festival here. Despite the heavy downpour on the afternoon of the 7th day, the temple was jam-packed with visitors, and vehicles were streaming in and out non-stop the whole day. Ampang Nan Tian Gong looking very glitzy just after dark (~7.30pm). 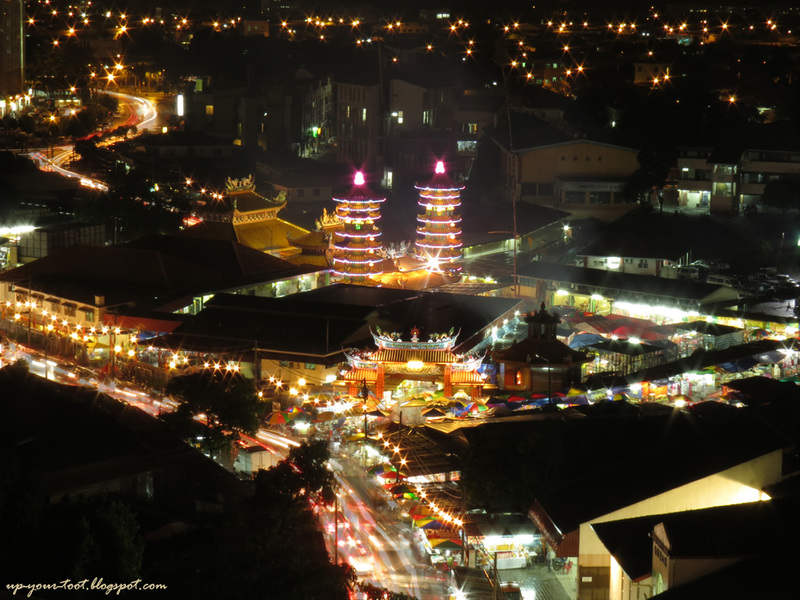 The light stream all along Jalan Merdeka is an indication of how many visitors paid a visit to this temple. 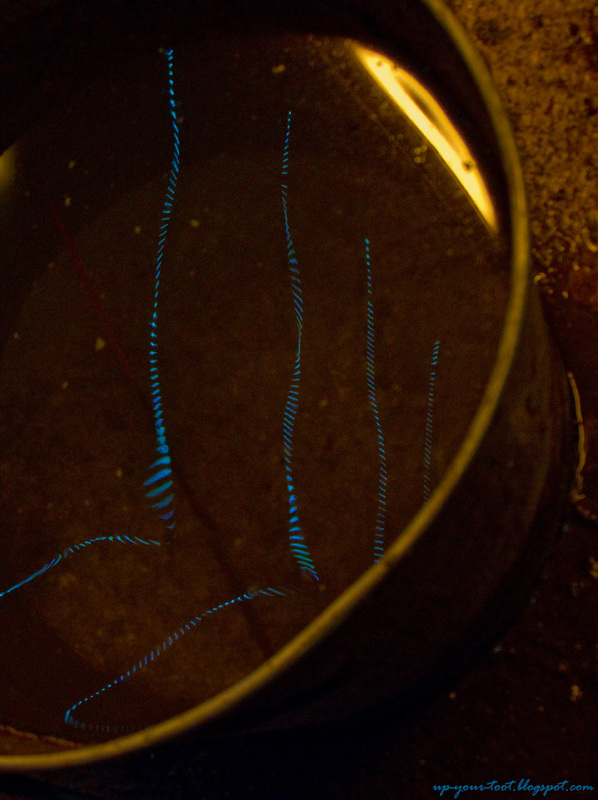 As the festival draws towards the end, I will just show a few pictures tied to light and dark, reflections and contrast. "The number you've dialed cannot be reached at this moment. Please try later." Why I can't get you on your phone, Kow Ong Yeah? I need to ask a personal favour from you. 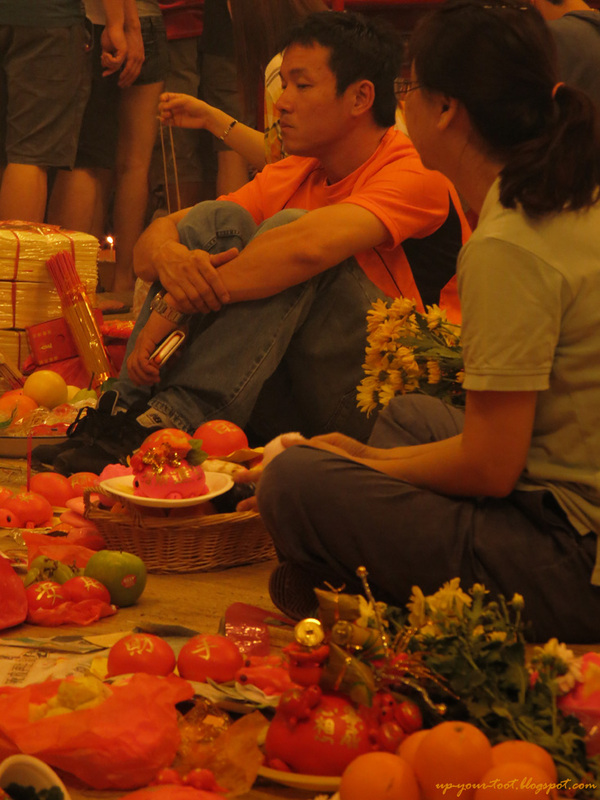 A guy sitting amidst the offerings, clutching his phone and looking very despondent. Either he isn't getting through to the gods on his phone, or he was forced to keep an eye over the offerings. Priest: Are you ready for what's underneath my black coat...Ta daaa! Urn Master: Hah, like that only ah?? Robin: Batman, there is something not right with your new costume. Batman: Yeah, it is a little oversized and floppy. Robin: Where did you get it from? Batman: Oh, from a seller on eBay. It's a steal. Robin: That figures (Smacks his own head)! 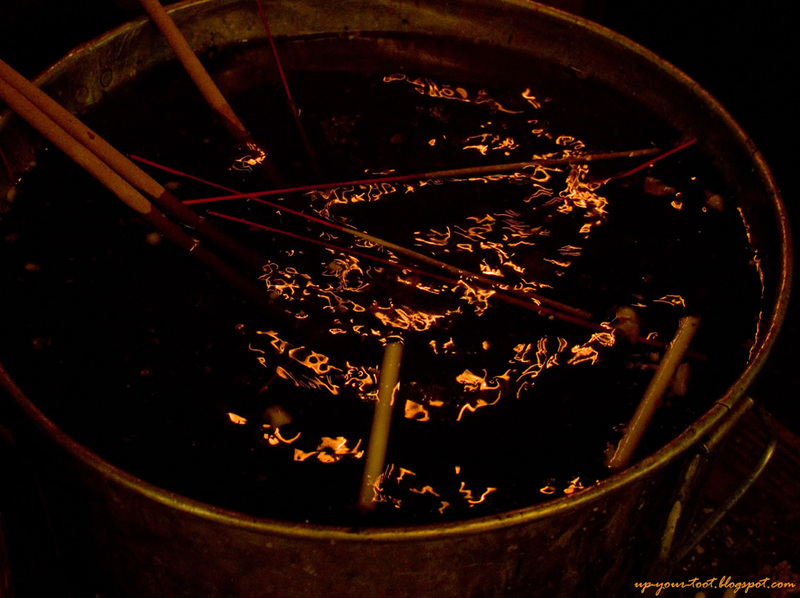 Fire and Water, Yin & Yang - the light of candles reflecting off the surface of a bucket of water which is used to douse the candles and the joss-sticks. Remember to come on the 8th day to see the Bridge Crossing Ceremony. which is open to all, male and female, vegetarian or omnivorous. Hey Sean, great pics! How about the opera performance in front of the temple, coming nanti? Please...... Thank you! Hi Vicki, sorry for the posting delay - here's the post for the performance at the altar. Thanks and hope you enjoy the rest of the photos too.